The IEA Solar Heating & Cooling Programme has approved Task 61, a new research initiative concentrating on integrated daylight and electric lighting solutions. The task will tackle unresolved issues and challenges of a growing market which meets 19 % of the total electricity demand around the world. It will launch with a 3-day workshop from 28 February to 2 March 2018 in Lund, Sweden. Experts with a background in R&D or manufacturing are welcome to join the initiative. Task 61, Integrated Solutions for Daylighting and Electric Lighting, which started in January 2018 and is planned to end in June 2021, is led by Jan de Boer, Group Manager Lighting Technology and Passive Solar Systems in the Department of Energy Efficiency and Indoor Climate at the Fraunhofer Institute for Building Physics in Stuttgart, Germany. Task 61 collaborates with IEA’s Buildings and Communities Programme (EBC). The meetings will be carried out jointly with Annex 77, so the name of the research iniative within EBC. Experts from 15 countries from IEA and EBC will participate in the kick-off meeting in Sweden. 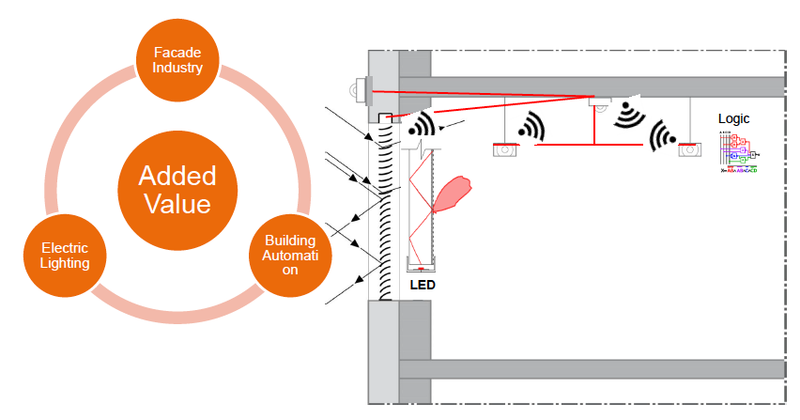 The new research endeavour is a clear follow-up to the work of IEA SHC Task 50, Advanced Lighting Solutions for Retrofitting Buildings, which had been the subject of two previous news articles (see the links below). “We still need a better understanding of the user’s perspective,” said de Boer. The key objective of the new task is to promote the installation of daylight and electric lighting solutions to achieve user satisfaction and save energy. These solutions include user-centred lighting design, high system efficiency or electric lighting based on daylight patterns. The planned activities have been split into four sections (see the table below). Despite lights accounting for 19 % of the world’s power consumption and the emergence of an electric lighting and facade-shading market, some challenges remain. For instance, design and control parameters need further analysis and adaptation to the age range of occupants and to non-visual effects, among other things. What also deserves a closer look is for instance the complexity of facade installations, specifically the topic of glare control. Lastly, one of the main objectives of the task will be to find the right balance between complex technical solutions and efficient lighting controls.